Indigenous people harvested and hunted a vast array of foodstuffs across Australia, taking advantage of seasonal plenty for consumption, ceremony and trade. Their vast experience living on the land developed an intricate knowledge of supply along with hunting and harvesting methodologies. However, traditional practices suffered as the pastoral industry encroached on Aboriginal lands. The removal of many people to missions also compromised local knowledge and foodmapping. 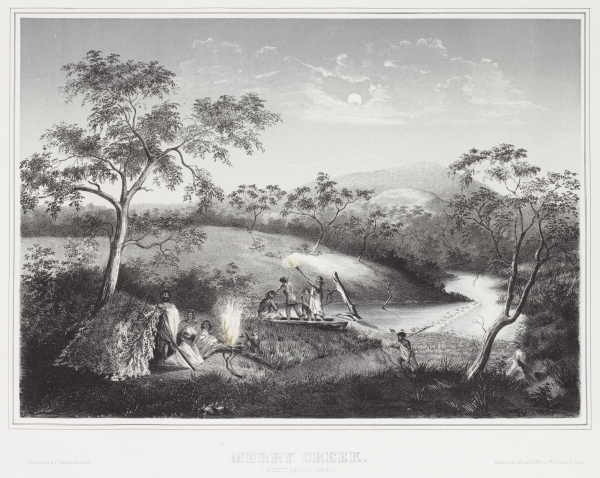 Settler agricultural practices were imposed on Aboriginal people and the extensive seasonal menu was replaced with rations of white flour, white sugar, tea and meat. Today the growing, collecting, cooking and use of the nutritional and medicinal properties of bush foods is an expanding field. Indigenous land management projects are being undertaken through the Indigenous Land Corporation and shared management with councils, catchment authorities and parks. Koorie plants, Koorie people - illustrated guide arranged by habitat with notes on use, medicinal and dietary properties. Australia and the origins of agriculture - explores indigenous food cultivation practices that sit alongside the hunter gatherer methods of sustenance. Cooking wild foods - a list of items in the Library's collection. Aboriginal Australians and food - a list of items in the Library's collection. Dark emu: black seeds: agriculture or accident - argues that Aboriginal people were using cultivated plants prior to white colonisation, debunking the hunter-gatherer stereotype. Glenelg Hopkins CMA Indigenous partnerships - shared project around traditional land management practices in South West Victoria. Indigenous land use - from ERGO, includes information on eel traps. Traditional uses of Australian native plants - bibliography from the Australian National Botanic Gardens. LivelihoodInLand - project with partners including CSIRO, on utilising Aboriginal land management practices to enhance Aboriginal health and wellbeing.